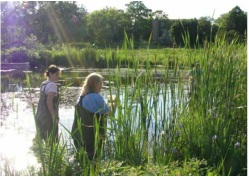 A great way to get involved is to volunteer to monitor a lake, stream, or wetland. The Shingle Creek and West Mississippi Commissions partner up with the Metropolitan Council, Minnesota Pollution Control Agency, and Hennepin County to recruit, train, and work with youth and adult volunteers. We're always looking for more help! Contact us to find out more, or click a button below for more information on specific monitoring opportunities. 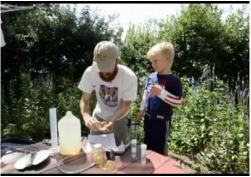 Hennepin County manages the Wetland Health Evaluation Program (WHEP), a program for adults. Volunteers work in teams to evaluate vegetation and organisms in target wetlands. Teams work in both the Shingle Creek and West Mississippi watersheds. For more information and to volunteer, click the Learn More button. The Metropolitan Council operates a Citizen Assisted Lake Monitoring Program (CAMP) to track water quality in over 180 lakes in the Metro Area. Each year 3-5 lakes in Shingle Creek are monitored. If you are interested in volunteering in Shingle Creek contact us. For more information or to volunteer elsewhere in the Metro, click the Learn more button. River Watch is a hands-on environmental education program for youth in Hennepin County. 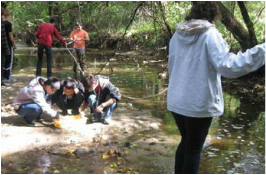 Teams of youth assess the health of local streams by identifying and quantifying the stream's biological community. The program is available to school classes and youth groups. For more information click the Learn More button.